Dog Star Books, the science fiction imprint of Raw Dog Screaming Press, is revealing another cover today. 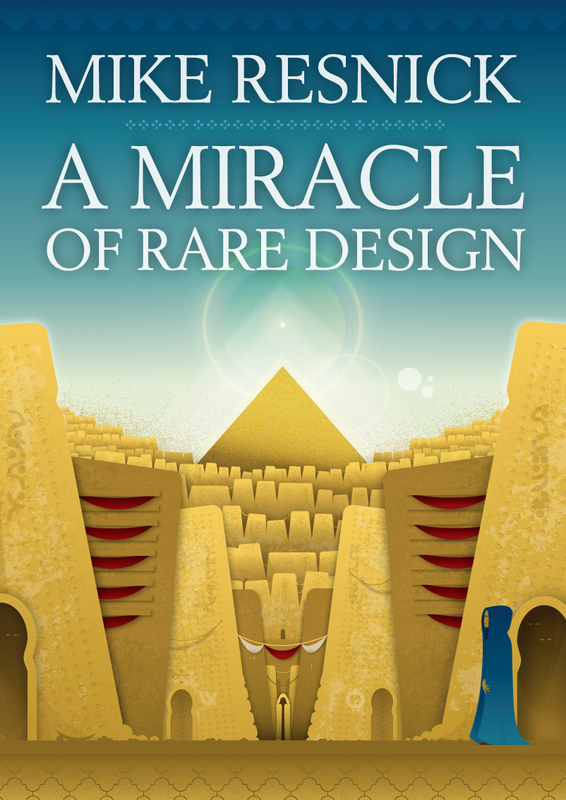 Thanks to managing editor, Heidi Ruby Miller, you can be among the first to see the cover for Summer 2013 release A MIRACLE OF RARE DESIGN, an Anthropological Science Fiction novel by Mike Resnick. This edgy cover is by artist Bradley Sharp. Pretty cool, huh? Thank you for sharing the news, JC! Happy to! It’s says a lot about the quality of such a young indie press as DSB to be publishing an author of Mike Resnick’s caliber. Congrats to you and to Mike Resnick on his upcoming release!